There are few breweries that I revere as deeply as Russian River Brewing Company. Among creating world-class beers (Damnation and Temptation are two all-time favorites), inventing the Double IPA (Pliny The Elder, anyone? ), and pushing the boundary of sour beers (since ’99! 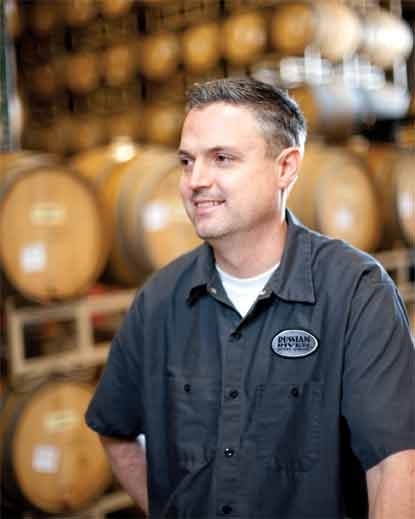 ), owner/head brewer Vinnie Cilurzo has been nothing short of essential to craft beer. It is evident through the dozens of beer medals, numerous brewpub awards, and even the prestigious Russell Schehrer Award for Innovation in Craft Brewing. Despite his success, Cilurzo has always paid-it-forward, constantly giving back to the commercial and homebrewing communities. From publishing the Pliny recipe, to presenting on his sour beer production process, to answering emails inquiries from a nobody like me, Russian River embodies the very best in craft beer. And I have been extremely fortunate to enjoy Russian River beers straight from the source in Santa Rosa, California. At the brewpub, I’ve had the pleasure of celebrating Zwanze Day, sharing a bottle of Wild Friendship Blend, waiting in line for Pliny The Younger (twice), and securing bottles of Beatification. But let’s rewind a bit. January 2015 was a remarkable month for three reasons; I turned 26 years-old; I enjoy my first Russian River Beatification (Batch 006); and I brewed my first spontaneous beer. And that’s no coincidence. Just three years earlier, I popped my Russian River cherry with my first bottle of Pliny The Elder. I soon became obsessed with all things Russian River and by fall 2012, I acquired my first bottle of Supplication, a sour brown ale aged in Pinot Noir barrels with cherries. It is no secret that Supplication was my gateway into wild and funky beers. I did not think beer could get much better than that first bottle of Supplication – until I tasted Beatification, that is. Fast forward back to 2015 when I am digging through my beer cellar to pull my third and final birthday beer. I have been saving one beer for this exact moment; Beatification. Needless to say, that first sip changed my beer and brewing life for good. 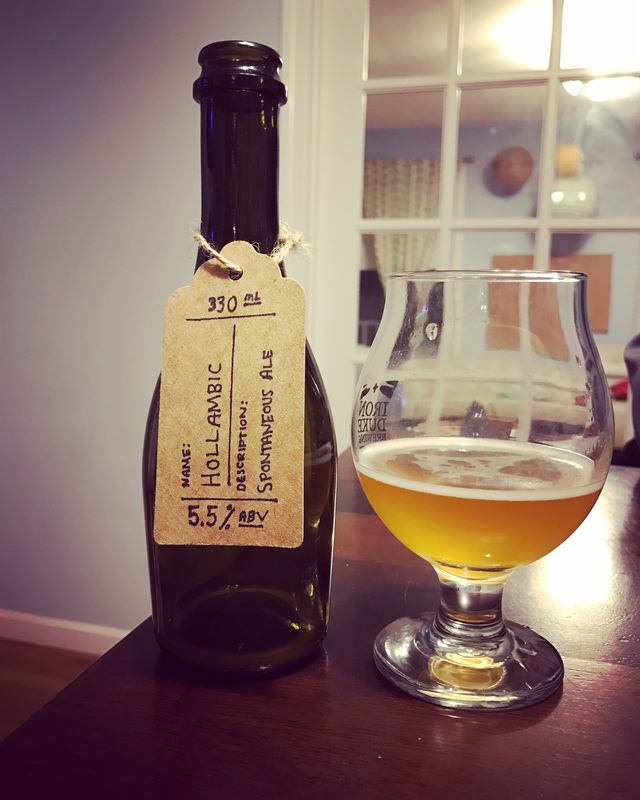 Two weeks later and I was brewing my very own spontaneous beer, which I affectionately dubbed Hollambic, a portmanteau of my hometown Holland (Massachusetts) and lambic. Each subsequent year, I have celebrated my birthday with a bottle of Beatification and a new batch of Hollambic, a tradition I plan to continue indefinitely. 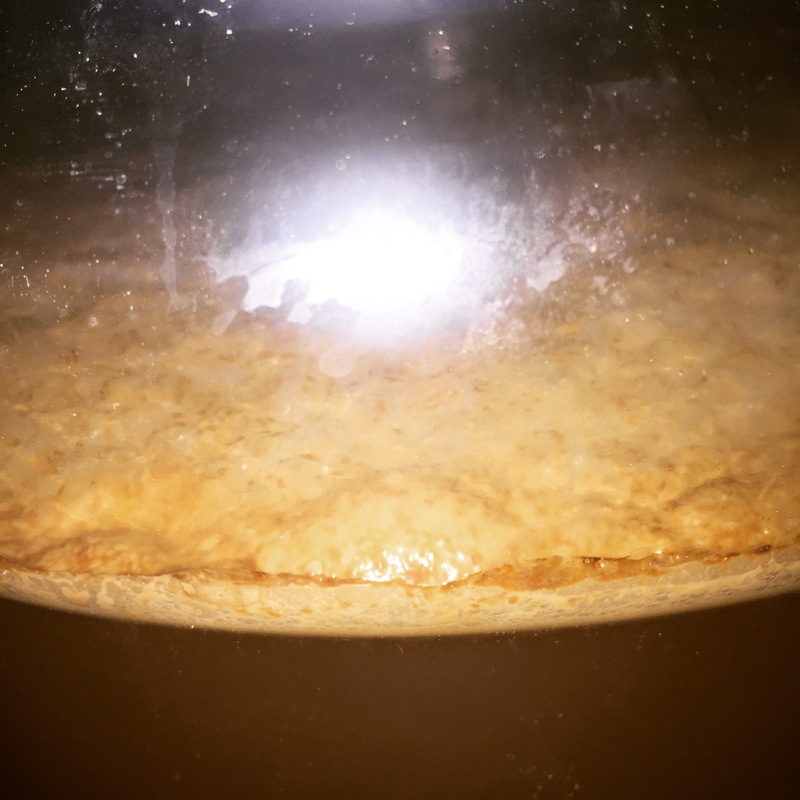 Despite modeling my spontaneous beer after Beatification, I altered the Russian River process for convenience, which was covered in detail in a January 2016 post. When all was said and done, my Beatification-inspired spontaneous beer was made not so much in the Russian River method. As my first spontaneous attempt, I opted for an easier, time-saving approach in anticipation of needing to dump all five gallons down the drain. Instead, the beer found its way into bottles in May 2016 and was enjoyed with a few close friends in February 2017, more than two years in the making. Appearance – A muted pop of the cork is relieved by moderately-high carbonation and a soft white, fleeting head. The beer reveals a beautiful gueuze-like, orange hue. Despite a careful pour, there is a slight cloudiness, though it is not unpleasant. Smell – An unmistakable fresh-cut hay aroma creeps from the glass and is (ironically) joined by the cheesy scent of aged hops (despite there being none in this recipe). Underneath, Macintosh apple skin combines with green pepper pith. There is also a faint aroma of sulfur, not unlike the intensity found with many red wines. 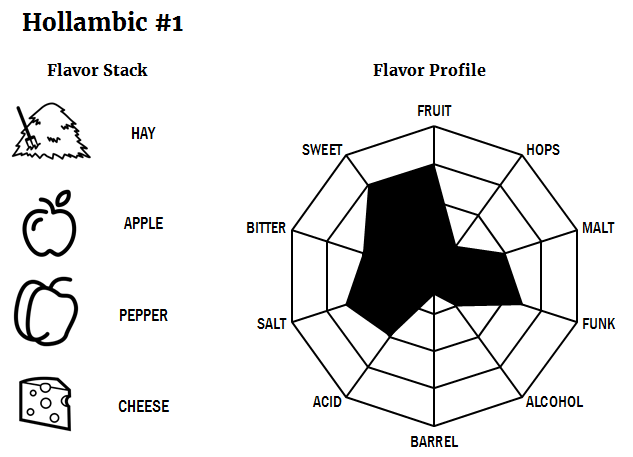 Taste – The flavor is certainly reminiscent of apple cider and the bit of residual sweetness helps to reinforce it. The ever-so-slight ethyl acetate aroma manifests itself in flavor as faint nail polish. Despite the wide spectrum of flavors, I enjoy each sip. Mouthfeel – The beer is noticeably tart, yet not sour. The sweetness in the finish contributes to an acceptable body which coats the tongue a bit. Despite the pleasant carbonation, the beer is not as dry as lambic or gueuze, though there is a similar salinity/minerality component, and a slight astringency on the finish. Overall – This beer, uniquely Massachusetts, is remarkably similar to a beer I first tried from Oregon years ago, Sahalie by Ale Apothocary. Despite the different production processes, both beers share vibrant green apple and grass, and weave sweetness and salinity. I am particularly excited with my beer as it is perhaps one of the few modern Massachusetts spontaneous beers ever produced! I look forward to how it ages in the bottle but even more so how the remainder of this batch will help achieve balance with subsequent years in my gueuze-inspired Happenstance series. It’s not lambic and it’s not gueuze, but it is a complex spontaneous beer and quite good for my first ever attempt! Changes for Next Time – Despite relocating to Idaho, I plan to return for Thanksgiving or Christmas each year to visit family and continue to brew a Massachusetts spontaneous beer. The recipe and process will continue to evolve as each batch is modeled after a different commercial spontaneous beer production method.